Smart and stylish in the land of the spiritual. 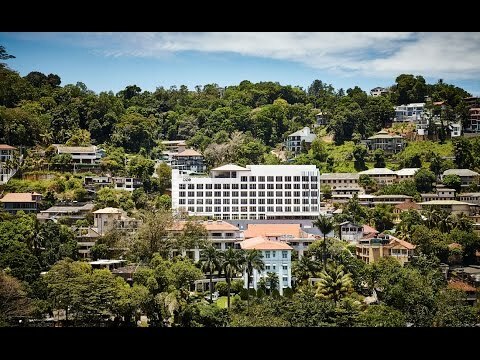 Welcome to OZO Kandy Sri Lanka. Cosy rooms inspired by Sri Lankan charm. Stunning views over the mist-covered mountains. Sublime beds that'll give you sleep so deep, you’ll be waking up before the alarm goes off with ease. Start your day right with EAT2GO Breakfast Boost or unwind at BOMMU rooftop lounge with a drink, snack and a side of the fresh mountain breeze. Where hill country meets heritage city, we offer easy access and easy escape. Just minutes from the renowned Sri Dalada Maligawa (Temple of the Sacred Tooth Relic) and a two hour’s drive from Bandaranaike International Airport, we’re your home away from home in Kandy. Sleep in, stay up, or head out – you’ll always be rested, refreshed and ready for the day (or maybe another snooze!). And that’s perfectly fine. We love a sweet slumber and we know you do too.